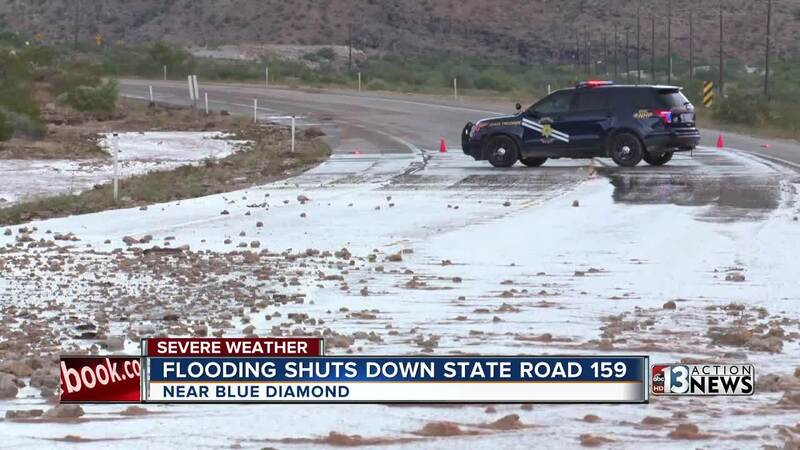 State Route 159 near the town of Blue Diamond was closed for a few hours Sunday because of flooding. UPDATE 5:50 P.M.: SR 159 is back open to traffic. ORIGINAL STORY: State Route 159, which is also known as Charleston Boulevard, near the town of Blue Diamond was closed this afternoon because of flooding. Another monsoon storm popped up early Sunday afternoon just outside of the Las Vegas. 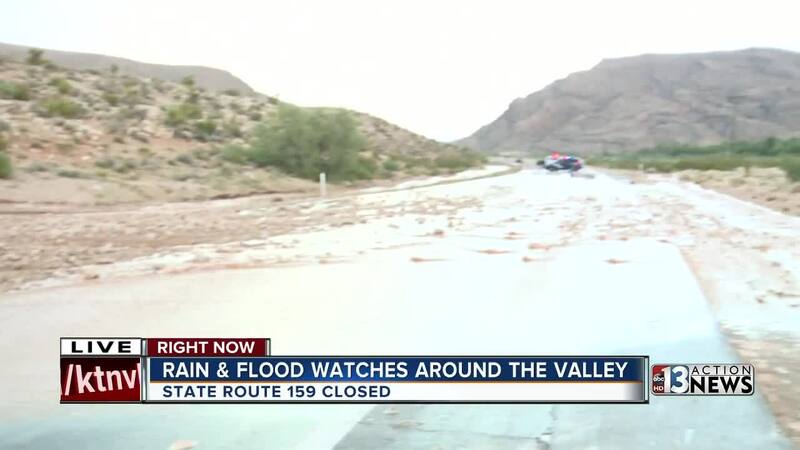 The rain was confined mostly to the Spring Mountains and Red Rock Canyon National Conservation area. There were reports of heavy rain for a brief period in the Summerlin area and a few sprinkles in the Spring Valley area. According to 13 Action News meteorologist Dan Bronis, the rain has mostly ended. However, there is a Flash Flood Warning in effect until 6:30 p.m. for some area.